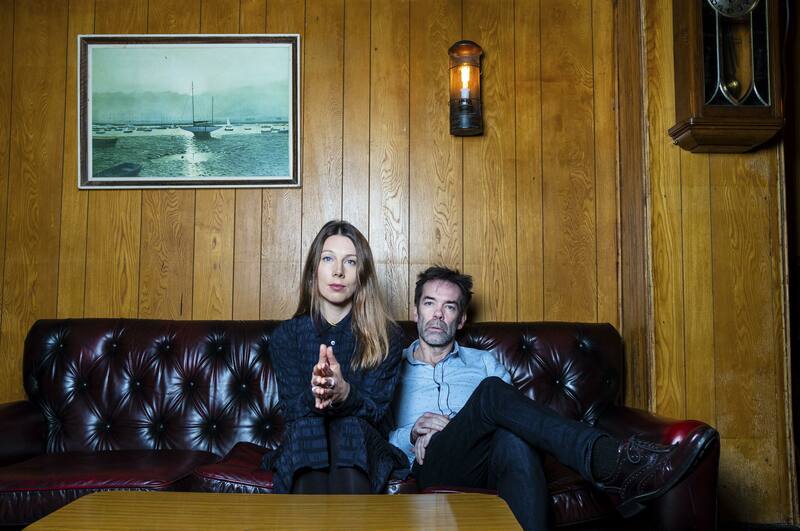 WYLLOWE is Anna Sheard and Rory More – a nascent writing duo with a shared enjoyment of all things folky and groovy (think early '70s Sergio Mendes, '60s sunshine pop and modal jazz versions of Scarborough Fair). 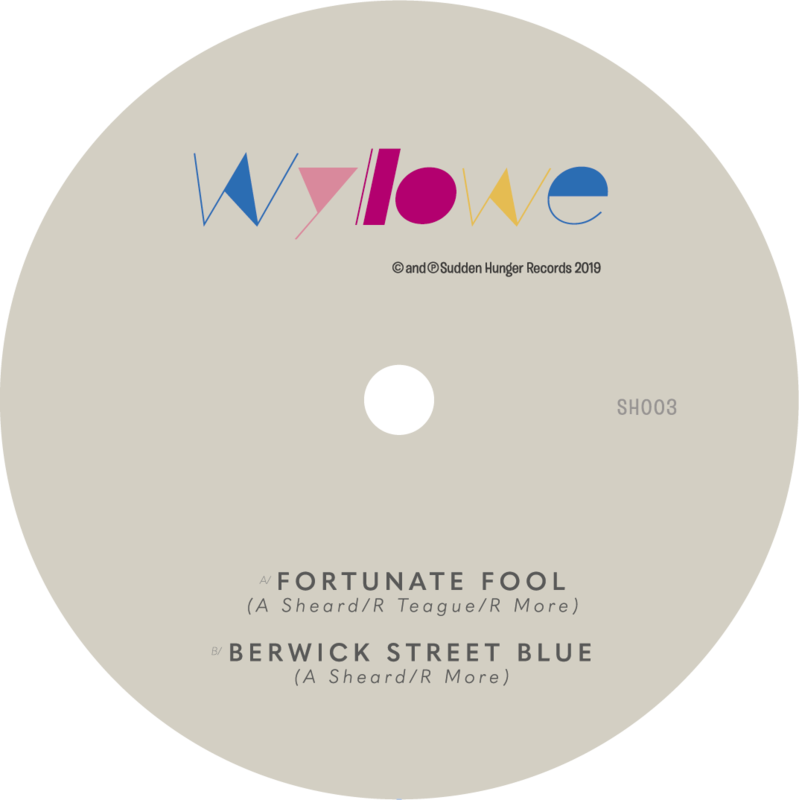 The new 7-inch release Fortunate Fool is a rolling and loping affair with a lilting melody accompanied by a chiming 12-string Fender, electric piano and Lowrey organ; its soaring lament and understated groove is an open-road elbows-in-the-wind driving song. The B side, Berwick Street Blue, brings to the fore Anna’s alluring lyricism and Rory’s oscillant motifs calling to mind the compositions of continental soundtrack composers and the sonorous femme-fronted productions of the late 1960s. Lush choral harmonies, layered guitars and resonant piano and organ ebb and flow over a soulfully intoned lyrical paean to a part of London lost and changed forever. London-based jazz exotica trio Les Hommes are back with the thoroughly off-kilter long-player The Sinner. The mood is a globe-trotter with sounds from Arabian cafes, sonic postcards from Rio and deep modes from European jazz quarters. 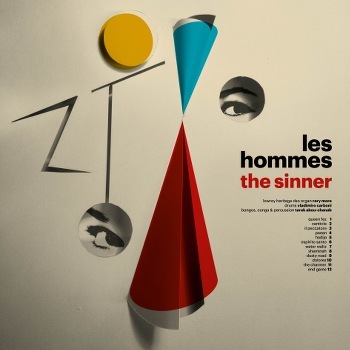 The Sinner is a Continental audio trip, an excursion into east-meets-west where Les Hommes's core line-up of vintage Lowrey organ, a gamut of exotic percussion and amazingly swinging jazzuous drums, joins a high-contrast sonic palette that includes frenzied Eastern chimings of santur, Italianate clarinet, vibraphone and alto flute – channelled through the cinematic variations-on-a-theme blueprint. From the Shearing-meets-Monk 1960s club grind organtronica of 'Queen Fez’, the noirish clarinet-led brooding shimmer of 'Canticle’, the primal swing of the jazz samba 'Espírito santo’ to the visceral pulse of the Persian daf in 'Dusty road’ and the modal mood that colours 'Dolores’, The Sinner is a supremely mondo bella figura. A fairground ghost train ride into unchartered sonic territory with its unspoken salutary tale of The Sinner and his arcane quest for atonement. Molasses-toned rising star in the firmament chanteuse Rumer and London&apos;s premier eclectic electric organist Rory More got together in 2008 to write and record the kind of sounds and songs they'd been talking about for many years. 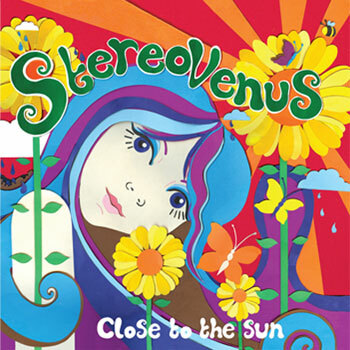 The result is the project Stereo Venus and the album Close to the Sun. This collection was originally intended for use in film and tv having been recorded exclusively for a European library music publisher. 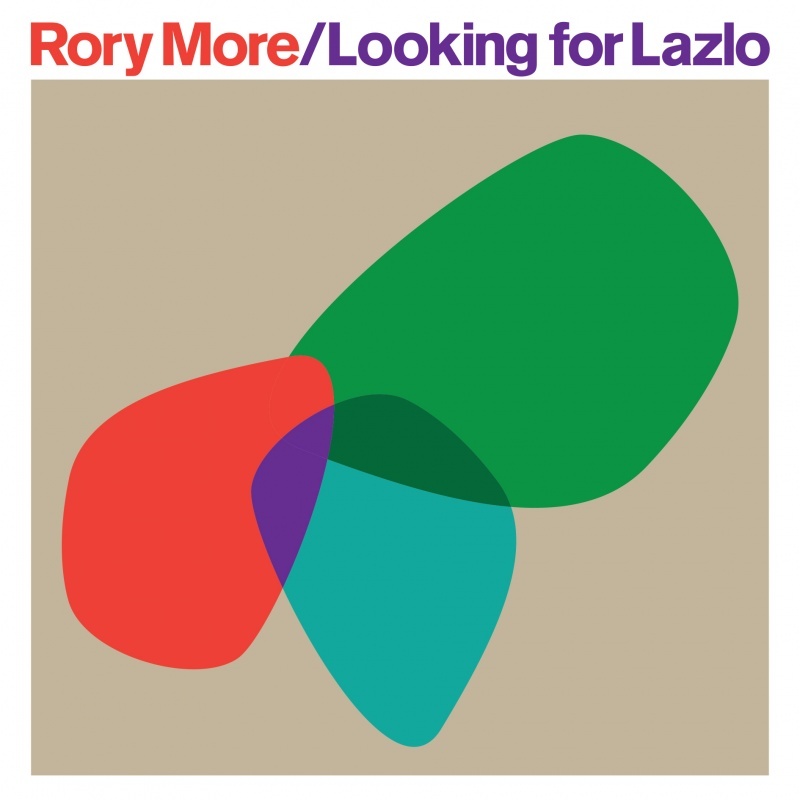 Now, for the first time Rory and Rumer&apos;s Stereo Venus is available to the public – 10 tracks that form a happy farrago of folky jazz love grooves, velvet incantations and curios sonics. From the sultry and hypnotic allure of Scarlett, the glorious bossa lilt of Blossom&apos;s Dream, the perfectly Tijuana-styled John Sebastian&apos;s Girl to the effortlessly cool re- workings by uber-lounge kings the Karminsky Experience Inc and the tonality filtered modernist sensibility of DJ and producer Young Lenny – there&apos;s a mood for all to savour. 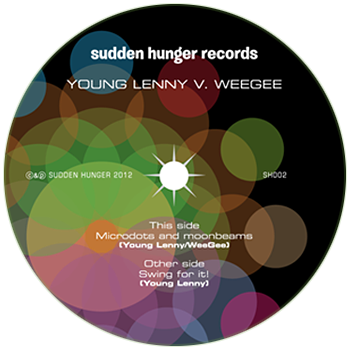 This new release (available in all good record emporiums from late October 2012) is familiar ground for Young Lenny (aka Geoff Leonard, Jay Stoner and one half of The Assemblers production team) after running his own Joynt Sounds label for a number of years. His well received 7” and 12” releases garnered regular plays from the likes of Norman Jay on his legendary Giant 45 radio show, Craig Charles, Tom Robinson & Nemone from BBC6 Music as well as generating a host of remix requests. His most recent production under the Young Lenny guise was a remix on this year’s Stereo Venus album featuring the worldwide superstar chanteuse Rumer with immaculate backing from London’s top organist Mr Rory More. WeeGee began DJing the Jazz way back in the 1980s - inspired by the legendary DJ Paul Murphy and the then nascent jazz dance scene. Amongst the many clubs and nights that he’s spun at over the ensuing years include the Monday night WAG club Jazz Room, the Cutting Edge sessions in Soho, Club Montepulciano at the world famous Rivoli Ballroom, the madness that was The Wild Weekend in Spain & Jazzin' at Vic Naylor. WeeGee currently holds court every month at the hard to locate 3 Blind Mice bar in Shoreditch for his underground Fickle Formula night. “Microdots and Moonbeams” has already received extensive airplay whilst it circulating on pre-release via discerning radio shows across the globe, from the most excellent “Balanso” show on Radio B92 in Belgrade to the jazz inflected “Stolen Moments” programme on Melbourne’s own alternative FM radio station: 3RRR. Here in the UK, specialist radio shows and podcasts from the likes of the Happy Jazz boys – Adrian Leach & Mark Taylor, Phil Levene’s Eclectic Jazz podcast, the Mike Mongos Radio Soul Show and Beane’s Noodle Hotpot have also heavily featured the cut. 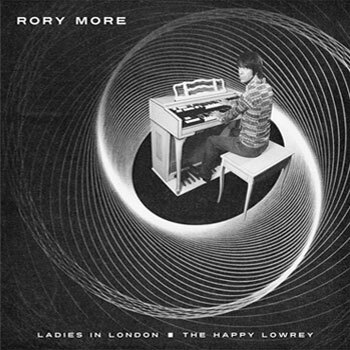 The UK&apos;s favourite electric organist returns with Ladies in London – an upbeat mix of bongos, shakers, flute and female phonation orbiting Rory More&apos;s magnetic world of organ. Sure. And it is! The b-side The Happy Lowrey is a visceral no- nonsense organ &apos;n vibraphone rhythm and groove workout for joint-jumpin&apos; jive lovers – rootin&apos; tootin&apos; and outta sight!